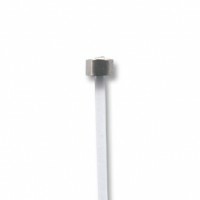 The Cylinder Hook is perfect to use with any 2mm perlon cord or 1.5mm steel cable either on Wall Hanging System or Ceiling Hanging System. 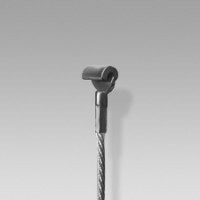 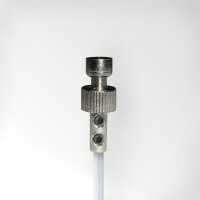 The Cylinder hook is 11mm diameter and 15mm high and offer a hook width of 3mm. 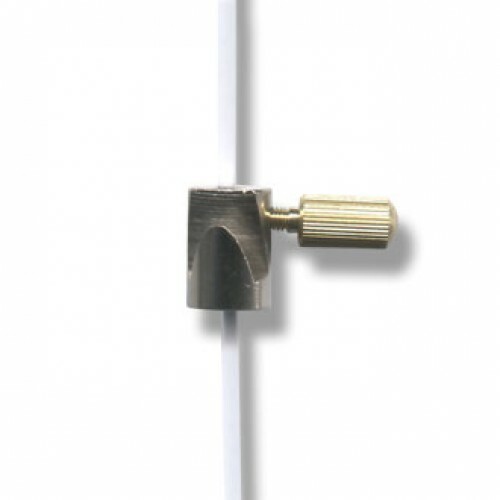 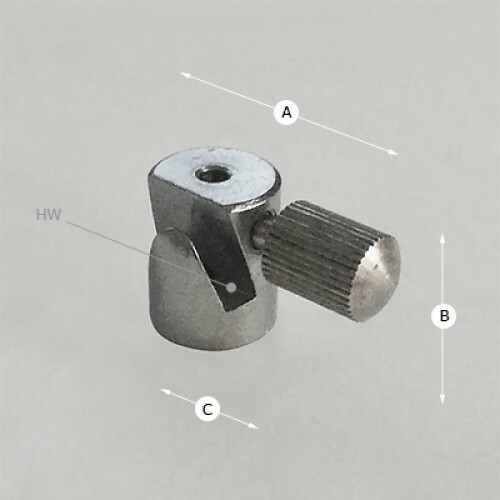 It has a brass thumbscrew on its side to lock the hook at the desired height along the hanging cable. 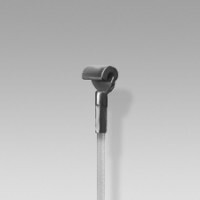 The Cylinder Hook can hold up to 7kg. 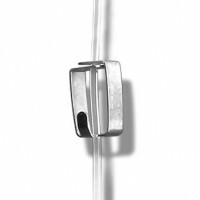 If you wish to hold more than 7kgs and have a similar hook, we recommend to use the Mini Hook Heavy Duty that can hold up to 20kg. 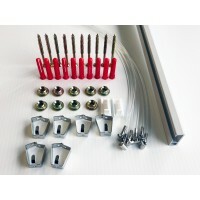 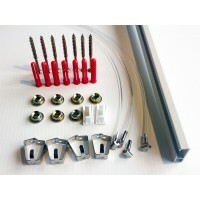 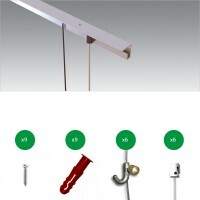 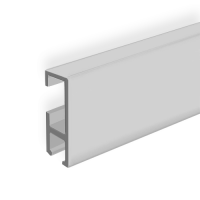 Aluminium Profile 25 x 8.5 mm (1 x 0.3 inch) The Clip Rail is a wall hanging system. 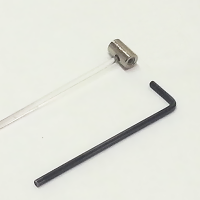 The Clip R..